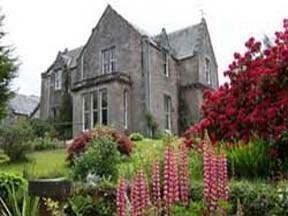 Choose from 16 hotels and guest houses in Borders. Shown below a just a selection of the hotels available. To search within an area please use the menu on the right. The Farmhouse at Yetholm Mill can be found in Kirk Yetholm in the Scottish Borders, and is perfectly situated for exploring Kelso, the Borders and Northumberland. The house has recently been refurbished and enjoys spectacular views. St Cuthbert's Way and the Pennine Way will suit walkers, and if you enjoy cycling, golf, fishing or birdwatching then this is the place for you. There is also racing at Kelso racecourse. There are also plenty of historic buildings to be explored. Set in a wonderful location at the end of a sheltered valley, yet just 2 miles from Hawick, this traditional farmhouse provides a lovely country retreat. You will be warmly welcomed at Wiltonburn Farm. Experience our rolling green hills in this idyllic valley, your base for walking, riding, fishing, golf, castles and stately homes. You will feel the benefit of the clean fresh air in no time at all. Drive the 2 miles to Hawick and discover the centre of Scottish textiles or wind down to the more leisurely Borders pace over dinner in an intimate restaurant. Back at the farmhouse, log fires, cosy rooms and our showroom containing designer cashmere knitwear, paintings, furniture and country gifts will make your stay memorable. 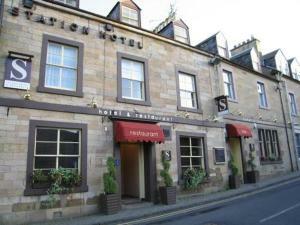 Ideally situated in the centre of picturesque Selkirk, the historic County Hotel is a friendly former coaching inn on the market square, with excellent access to the A7. All of the comfortable rooms offer en suite facilities, a flat-screen TV, a CD player and a DVD player. County Hotel boasts a range of dining options, including the Willow Restaurant, serving a fusion of Scottish and Mediterranean cuisine. La Contea offers an Italian menu and The Lounge provides informal dining and drinks. Local leisure pursuits include golfing, fishing and walking. Free parking is available to guests. A luxury country boutique hotel set in the heart of the beautiful Scottish Borders, this stunning period property is ideally set just 22 miles away from the historic city of Edinburgh. 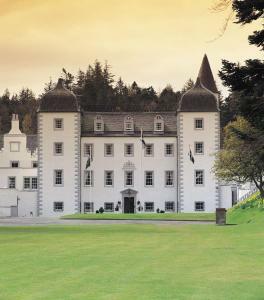 Built in 1742, the Castle Venlaw Hotel in Peebles, Scotland, has been operating as a country boutique hotel since 1949. Here you can be assured of a unique, wonderful experience combined with the warmest of welcomes and a superb level of service. Nestled in some 12 acres of woodlands, the Castle Hotel's private gardens extend onto the famous and well kept Venlaw Woods which boasts a beautifully designed tree-trail, enabling you to enjoy the stunning countryside views and walks. 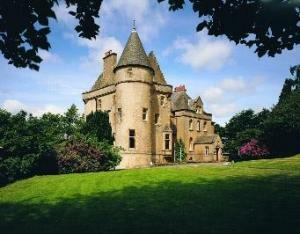 The Philipburn Country House is a luxury 4 star hotel situated in the beautiful Scottish Border town of Selkirk. Philipburn is of the highest standard with 12 rooms all of which have stunning accommodation and decor, some complete with balconies and their own Jacuzzi baths. We have always had an enviable reputation for cuisine and we are upholding this tradition with the excellent talents of Angus McIntosh, our head chef, and his team. Selkirk is an excellent location allowing our guests to take advantage of local attractions, both within the borders and the surrounding areas. Immersed within charming country gardens, this stately Georgian home provides all the modern amenities of the 21st century, while preserving the character of its 19th century origins. Located in the historic Royal Burgh of Jedburgh, this 4-star guest house is the ideal choice for both business and pleasure. It features graciously appointed rooms, a full range of facilities and warm hospitality that will be sure to make your stay a memorable one. Complimentary indoor swimming is available just steps down the road, whilst Allerton House itself meets all disability requirements, offers wireless email and internet access throughout and enjoys countless ways to pamper yourself for that special get-away. The Meadows is a small B&B with comfortable beds, easy parking, a warm Scottish welcome and a tasty cooked breakfast with homemade bread. The Meadows is just off the A702, the main Carlisle/Edinburgh trunk road. 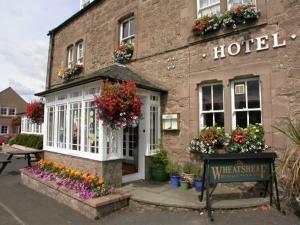 West Linton village has pubs and restaurants, and is a 5 to 10-minute walk from The Meadows. 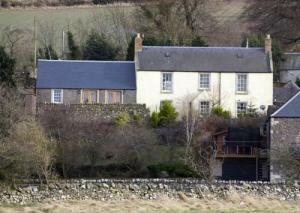 The old conservation village is nestled in the Pentland Hills, 11 miles (17.7 km) south of the Edinburgh City Bypass. These excellent-value rooms have access to shared facilities including a large kitchen, 3 bathrooms and utility area. Bank House overlooks the Market Square in the quaint Scottish Borders town of Duns, just 45 minutes' drive from Edinburgh. Free parking is available nearby. All rooms can include extra beds for children, making Bank House ideal for families. 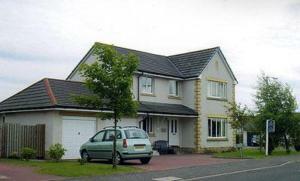 Four star deluxe property set in the Tweed Valley with stunning views of the Border Hills. 18 hole championship golf course, swimming pool, gym, sauna, steam room, beauty treatment rooms. This luxury resort offers stunning views of our championship golf course and the Border Hills. Other activities available include fishing, shooting, canoeing, quad biking, 4x4 driving and many more. Extensive conference and banqueting facilities available - Cardrona is the ideal venue for hosting weddings.